The students from the Pre Engineering classes competed in the Ohio SkillsUSA championship recently in Columbus. Joselyn Rabbitt and Stephanie Schroth placed first in Robotics and Automation Technology. 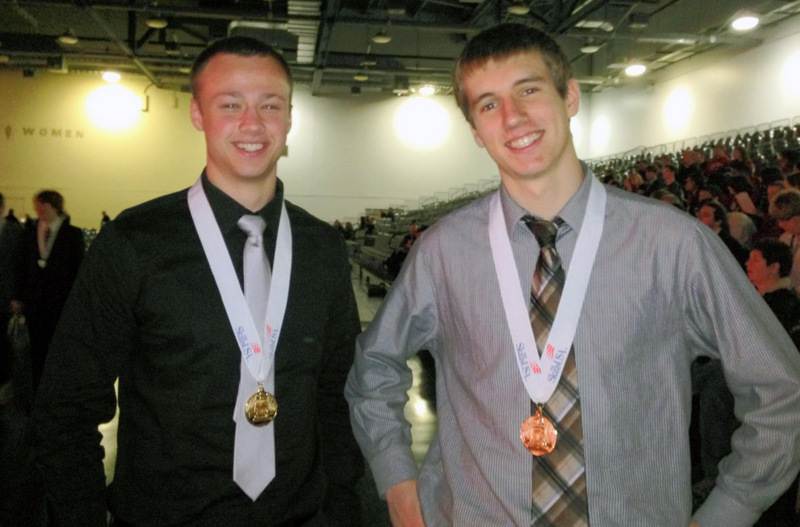 Lucas Schilling and Matt Seman took top honors in Mobile Robotics. Mike Zeber was part of the Polaris team that placed first in Career Pathways Showcase Manufacturing. Jake Olszewski, Matt Bender and Thomas Cobb took third in Engineering Technology. All first-place competitors will go to Kansas City in June. This was the most students in Polaris history to compete at the national level in one year. Also competing in the Automated Manufacturing competition were Scott Dehart, Ryan Bratsch and Matt Metzger. Congratulations to these fine students. Best of luck at the national competition. To view a photo gallery, click HERE. OFMS had more than 140 individual entries in 72 events for the Ohio Music Association Solo and Ensemble Contest April 12 at Cuyahoga Community Collge. Mrs. Joy Kiedrowski, Mr. Ryan Patterson, Mr. Kevin Gulden and Mr. Michael Feller, their directors, helped develop the talent of these budding musicians. Al Demkowicz, Liam Sleggs, Theresa May, Jacob Donofrio, Chris Andrews, Allison Denham, Mark DeMio and Sherri Kovach provided outstanding coaching of these groups. Student preparation for the competition included before school, after school, during lunch, weekends and evening practices. To view the names of participating students and their ratings, click here. Congratulations to all these wonderful musicians. The Bulldog Theatre Company will perform its spring play, “All I Really Need to Know I Learned from Being a Zombie.” Remaining performances are Friday, April 25th and Saturday, April 26th – shows begin at 7:00 p.m.
Over the course of an evening, the 56 undead actors and actresses will explore and contemplate life lessons through a unique perspective that only a zombie could offer. Life lessons, such as “What doesn’t kill you makes you stronger,” “Everyone deserves a second chance,” and “there is no normal,” are some of those lessons. Tickets cost $5 for adults; $3, students and free to senior citizens and children under 5. We hope to see you there. Got some good moves? 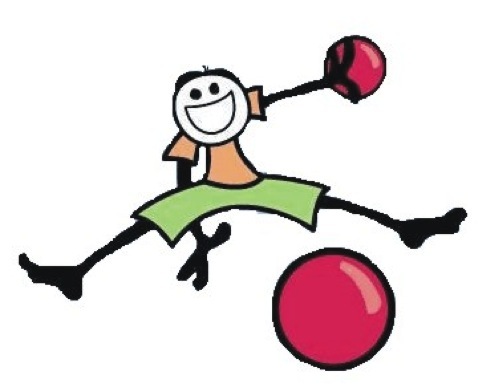 Sign up for the Post Prom’s third annual Dodge Ball game Friday, April 25th from 6-9 p.m. in the high school gym. Students in grades 9-12 are invited to sign up during lunch in the cafeteria beginning April 22nd. The cost is $25 per team that includes five students. Admission to watch is $3. There will be prizes for the best outfits and winning team. Don’t miss out on the fun. All proceeds benefit the Post Prom. Helping Hands will host the second “Movie and Game Night” on Friday April 25, 2014 from 6-8:30 p.m. @ OFHS. This event is set up to be a “sensory friendly” experience. The sound is controlled and the lights will be dim (not off). We are playing Pixar short films so students can feel comfortable changing scenery from auditorium to cafeteria as needed. Games will be set up and played in the cafeteria. Feel free to bring your favorite game to share! We will provide a snack of popcorn, cookies, and water. Please send RSVP to Mariel Krakowiak, mkrakowiak@ofcs.net, by Wednesday April 23 and inform us of the number of adults and students in your group. Saturday, April 26th will mark the 8th nationwide drug take-back day sponsored by the Drug Enforcement Agency at locations across the country participating in Operation Medicine Cabinet. The Olmsted Falls Police Department has again partnered with the DEA and PTA to host this event in our community. 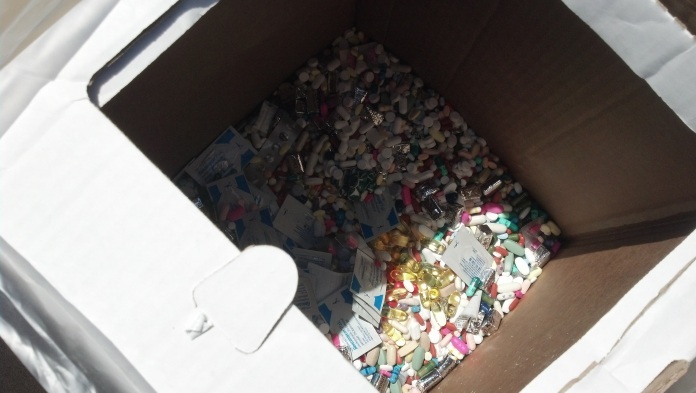 Between the hours of 10 am and 2 pm on April 26th please drop off potentially dangerous expired, unused, and unwanted prescription and over-the-counter drugs at the Olmsted Falls Police Department. The Pride website also feature additional video clips produced by students! Enjoy! 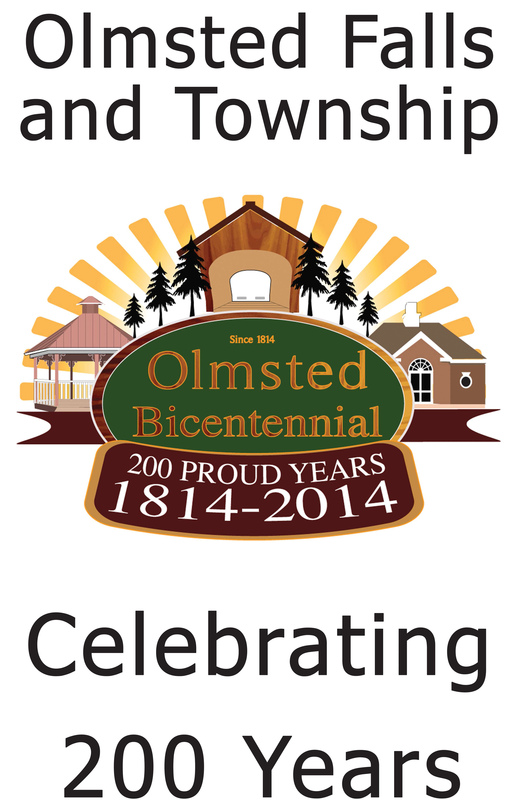 PRIDE COMMITTEE SEEKING ENDORSEMENTS – Many thanks to the dedicated volunteers working on behalf of the Pride In Olmsted Committee in support of Issue #4. The endorsement list keeps growing and the committee continues to seek individuals, families, and local community partners to indicate their support of this bond issue for OFHS. 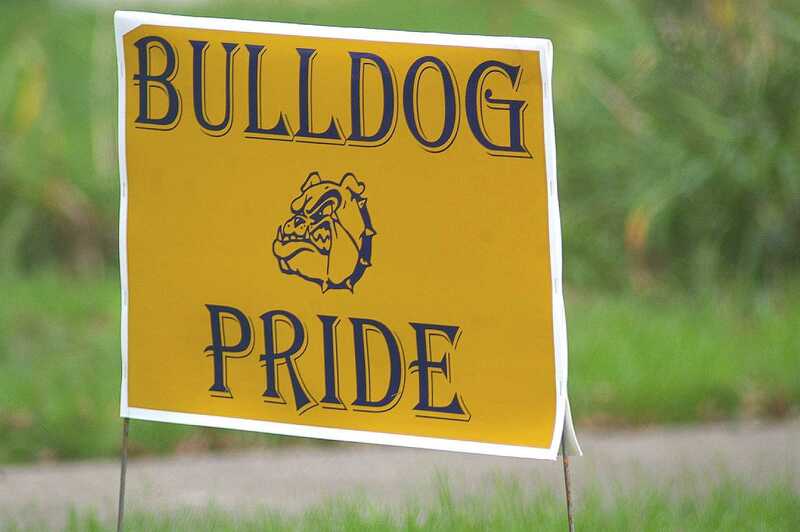 The campaign intends to use the names of steadfast supporters to demonstrate bulldog pride and growing support of this critical ballot issue. To participate, send an email to prideinolmstedschools@gmail.com. Please include your name and, if you wish, why you support the high school improvements. Additionally, the committee is seeking photos of families who would like to demonstrate their support. Please use your imagination and be creative! If you’d like to include a “YES for schools” sign in your photo, please let the committee know. You are encouraged to create your own poster as well! Submit your photos or questions to prideinolmstedschools@gmail.com. 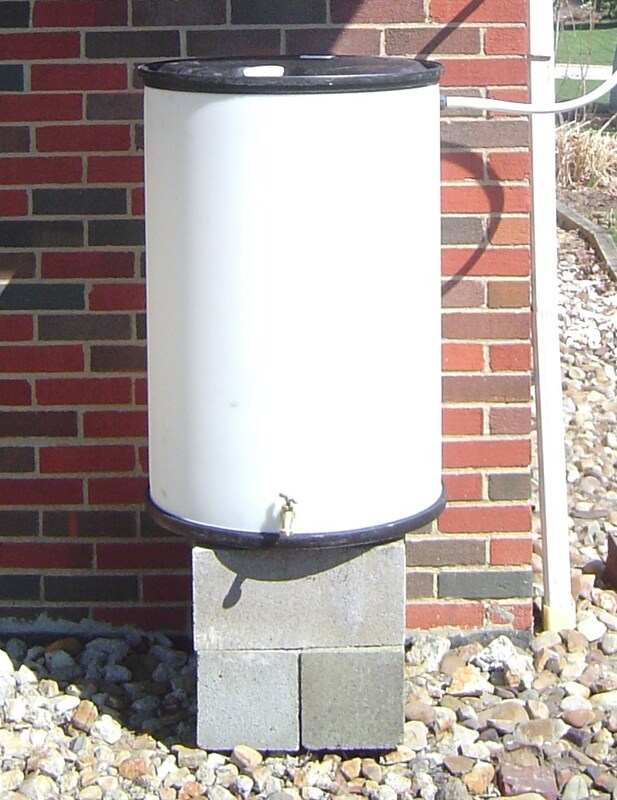 YARD SIGNS – The Pride Committee is requesting that any parents who may still have a “Yes on #86” yard sign from the fall campaign stored in their garage to please return it to be updated and recycling for the current information campaign. Signs will be updated with “Issue #4” and redistributed along main roads in the community. Signs can be dropped off next to the garage behind the Board of Education office (under the overhang, next the picnic table, please). MAKE SURE YOUR VOTE COUNTS – Vote by Mail! Request your Vote By Mail absentee ballot by clicking HERE. Those people who request absentee ballots to vote by mail will receive ballots soon. Please be sure to complete and return your absentee ballot as soon as you receive it. EVERY VOTE COUNTS! FOR ADDITIONAL INFORMATION – To learn more about Issue #4, and view the growing list of endorsements, please visit www.prideinolmstedschools.com. 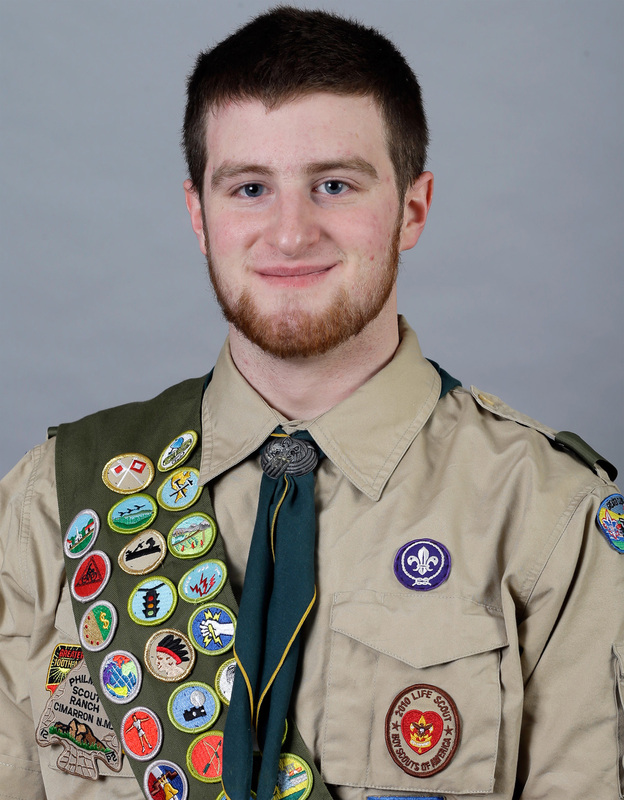 Olmsted Falls Boy Scout Troop 201 members Mike Zeber, an OFHS senior; Garrett Yoder, also a senior, and Matt Fox, a sophomore, will have their Eagle Scout Court of Honor at 2 p.m. April 27th at St. Mary of the Falls Church. 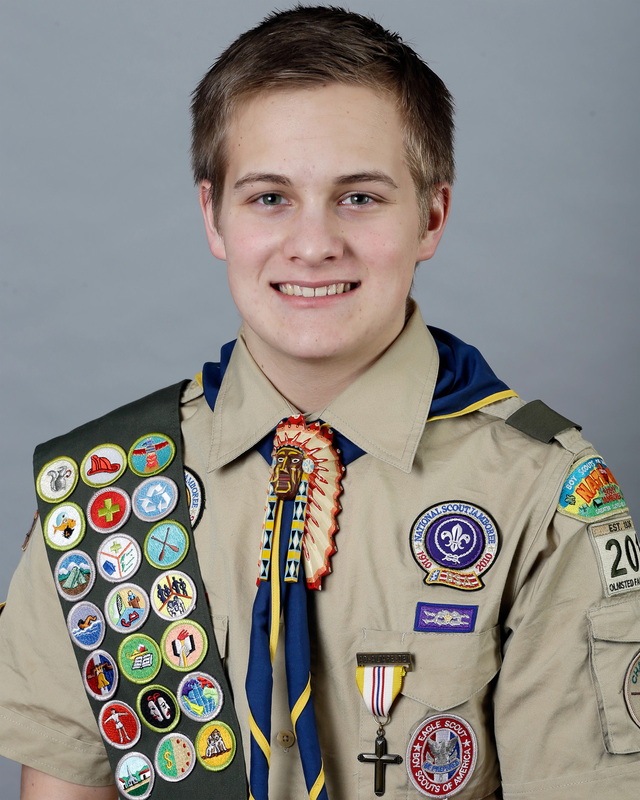 Nationally, only 3 percent of scouts attain the rank of Eagle Scout. 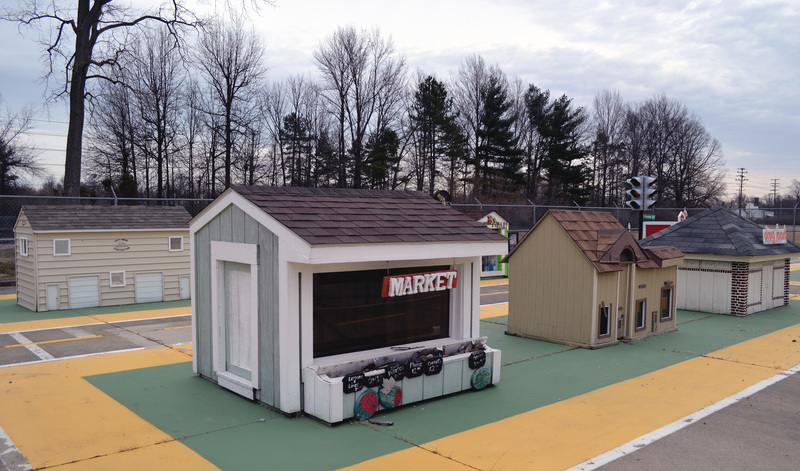 Matt rebuilt the Olmsted Falls Garden Club’s shed; Mike built a 75-foot section of the Cleveland Metroparks’ Royalview Mountain Bike Trail and Garrett constructed an EMS access trail throughout the Metroparks’ Royalview trail system. Congratulations to these fine Bulldog students. CARNIVAL FOR A CURE EVENT A SUCCESS! Our Carnival for a Cure on April 11th was a huge success! We had so many families that came out to support Relay for Life and the Falls-Lenox for Life team. Every year, through this fundraiser, we raise huge sums of money to create a world with more birthdays! This year we were able to raise $4,007 to help families and individuals who have been affected (or will be affected) by cancer. Wow! A special thank you goes out to all the families and students who came out to support this event, PTA members who contributed time, cupcakes and energy to make it extra special for the kids, high school students who donated their time on the mini-relay, Kiwanis members who graciously served up food, and teachers and staff , friends and family, who stayed all day and night to bring our carnival to life. As you can see, it was a true community event, and it was the Olmsted Falls Bulldog Community who made it truly special. Thank you, thank you, thank you! the OFHS Academic Team’s April 26th fundraiser is at Razzles/Rockers Café. Proceeds from the 8-10 p.m. event will help defray the cost of sending the school’s National Qualifying team to Chicago in May. Tickets are $20 and include pizza, wings, beverages, music and entertainment. Take a chance on gift baskets, side boards filled with cash prizes and a door prize entry into a $100 drawing. Kids 6 and under are free to this family event. For tickets, call Laraine, 440-235-3006. Remember to watch the team on Academic Challenge May 10th on WEWS TV Channel 5. To view the event’s flyer, click HERE. Time is running out to buy an entry in the annual Calendar Raffle. For $5, you are entered for a chance to win 31 days of fabulous prizes. A different winner is pulled each day and a list of winners will be posted on the blog. You may enter as many times as you like, share the raffle with family, friends and co-workers. Entry forms and cash or a check (made out to MS PTA) may be dropped off at any of the school main offices. Why not take a chance! The contest includes many gift cards to area stores, Monsters tickets and other great prizes. View a copy of the calendar by clicking here. The Olmsted Falls Athletic Booster Club will hold its 2nd Annual Spring Sportswear sale Saturday, May 3rd from 9 a.m. to noon. The sale is at the sportswear booth by the concession stand at the football field. Lots of spring and summer apparel to choose from including shorts, tank tops, visors and more. The sale is also offering 10 percent off all items in stock. It’s free to get in. We look forwarding to seeing you there. 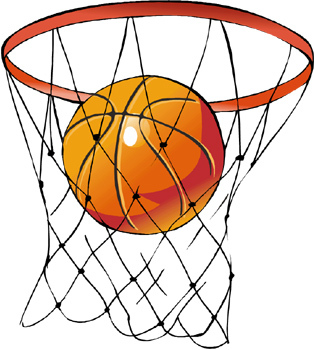 Learn to become a better shooter and ball handler at the OFHS Boys Basketball One Day Shooting/Ball Handling Clinic from 10 a.m. to noon May 3 in the school’s gym. The team’s coaches and players will use instruction and drills that will teach shooting form, shooting and ball handling and fun competitions to improve. The cost is $15. There is no deadline. Walk-ins are welcome, but a sign-up and emergency contact form is available by clicking HERE. Come one, come all students in grades 1-6 to Olmsted Community Center’s Carnival Night at its Saturday Activity Night program. This Saturday, April 26th, enjoy plinko, ring toss, face painting, games and prizes from 7-10 p.m. at the center, 8170 Mapleway Drive. Falls Pointe Development welcomes swimmers to its summer program. Registration for the Piranhas swim team is open to any resident of Olmsted Falls or Township. Registration will take place from 2-4 p.m. April 27th at the Falls Pointe development clubhouse located on Falls Pointe Drive. For more details and contact information, please click HERE. Don’t miss the annual Olmsted Falls Garden Club Perennial Plant Sale on Sunday, May 4th from 11 a.m. to 2:00 p.m. at the Jenkins Community Center. Large selection of perennial flowers, hostas, grasses, ground cover, flowering shrubs and wildflowers. A portion of proceeds from this sale benefit Falls-Lenox 3rd graders for the Minnesota Fast Seed program (formerly known as Veggie U). There will be NO SCHOOL tomorrow, Friday, April 18th and NO SCHOOL on Monday, April 21st. Please enjoy the long Easter weekend. School will resume Tuesday, April 22nd. Have a safe and enjoyable holiday! ATTN: BULLDOG PARENTS! 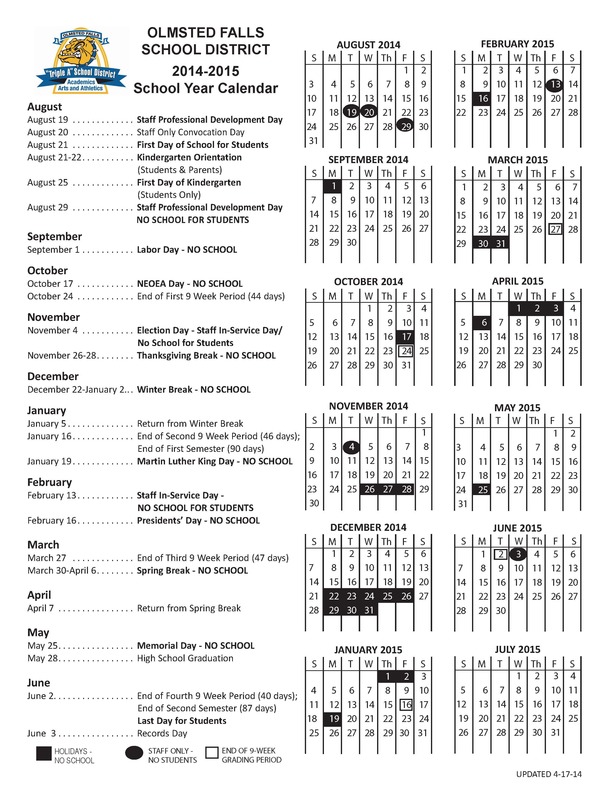 Olmsted Falls School District has made changes to the previously posted school year calendar for 2014-2015 (next year). New requirements from the Ohio Department of Education made it necessary for the District to review and revise our original calendar for the upcoming 2014-2015 school year. The most significant change to note for parents is that the first day of school for students has been shifted back by one day to Thursday, August 21st. The previous calendar had students’ first day of school as Wednesday, August 20th; the first day of school for students for the upcoming 2014-2015 is now Thursday, August 21st. Another important change to note is the addition of a staff professional development day on Friday, August 29th; there will be NO SCHOOL FOR STUDENTS on August 29th. This revised calendar meets the state’s new requirements for number of school hours across all grade levels, allows for sufficient staff development opportunities, and provides for potential calamity days. The updated calendar for 2014-2015 is now available for download on the District website (www.ofcs.net), or by clicking HERE. Thank you for your patience as we made the necessary revisions. 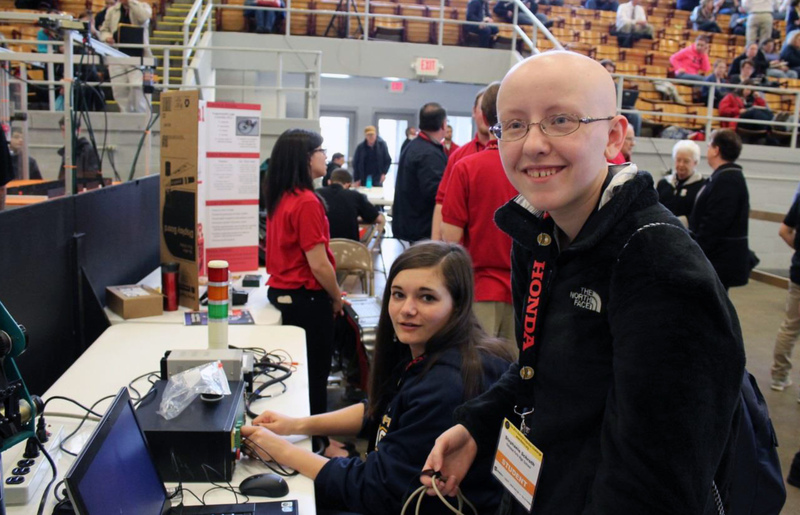 OFHS students Stephanie Schroth and Joselyn Rabbitt attended Friday’s National Robotics Challenge in Marion, Ohio. They placed third in the Pick and Place competition. To view a photo gallery, click HERE and a video of the competition, HERE. Congratulations to Joselyn and Stephanie! The Bulldog Theatre Company, previously known as the OFMS Drama Club, is back and ‘deader’ than ever! 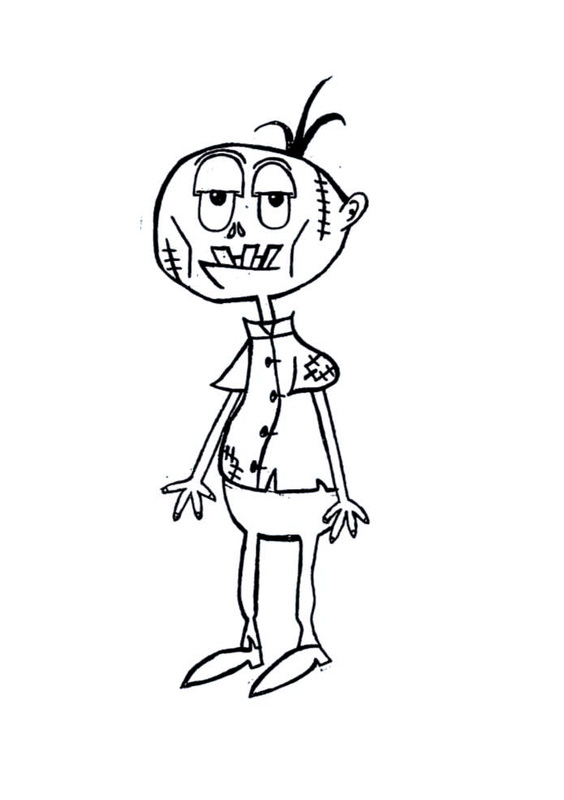 Its spring play is “All I Really Need to Know I Learned from Being a Zombie.” It is scheduled for Thursday, April 24th, Friday, April 25th and Saturday, April 26th – all shows begin at 7:00 p.m.
OFHS Academic Team is in the semi-final rounds of the Scholastic Games of Lorain County, the weekly quiz program on WEOL radio, AM 930. Its hopes for a record-breaking four consecutive championship remains alive after the team’s 440-210 win over Keystone High School in the quarter finals. The team will next face Lake Ridge Academy May 5th at 6:06 p.m. The championship is May 19. 6:06 p.m. Team members were Xavier Rivera, Zach Buchta and Andy Nageotte, captain and who was named the program’s “Standout Scholar.” Ms. Rhonna Smith is the team’s advisor. A photo gallery is available by clicking HERE. Each participating school receives a $500 credit to go to a deserving student from an area college or university. Up to $1,000 in additional credits are awarded to each school that enters the quarterfinal and subsequent levels in the playoffs. Contributing institutions include Ashland University, Baldwin Wallace, Case Western Reserve, Heidelberg, John Carroll, Lorain County Community, Notre Dame College of Ohio, Oberlin, Ohio Wesleyan, Tiffin University and Ursuline College. Good luck, team, for continued success. Area senior citizens watched a dress rehearsal of ‘Oklahoma’ as part of the OFHS PTA Senior Citizen Outreach Program. They enjoyed pastries and coffee during the rehearsal that was in the school’s auditorium. Musical Director John Mercer greeted and welcomed the ladies and gentlemen before the performance and thanked them for providing the students an opportunity to practice in front of an authentic audience before the “real” show! Steve Matia, president of the Masquer’s Boosters, and Elaine Atkinson, PTA chairperson, worked to make the evening out a success for more than 100 of our local residents. To view a photo gallery of the event, click HERE. Falls-Lenox/Early Childhood Center PTA’s Bulldog Party Rock was a huge success. 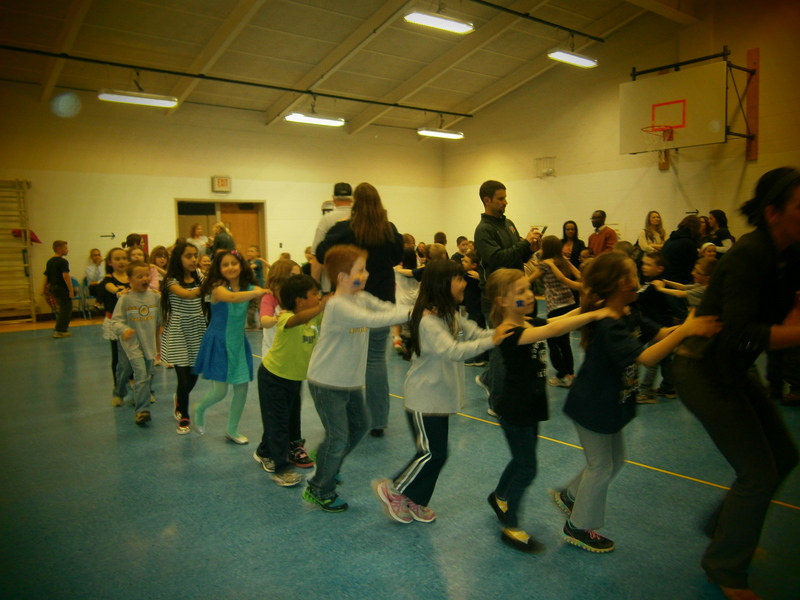 About 300 students, their parents and grandparents enjoyed dancing, face painting, pizza and dessert snacks. Students also enjoyed a photo booth and getting pictures taken with friends. Thanks to PTA for sponsoring such a fun night out for students and their families! Do you have great reflexes and move easily? Why not sign up for the Post Prom’s third annual Dodge Ball game Friday, April 25th from 6-9 p.m. in the high school gym? Students in grades 9-12 are invited to sign up during lunch in the cafeteria beginning April 22nd. The cost is $25 per team that includes five students. Can’t play, but want to watch? Admission is $3. There will be prizes for the best outfits and winning team. Don’t miss out on the fun. All proceeds benefit the Post Prom. Help support the OFMS PTA by purchasing an entry in the annual Calendar Raffle. For $5, you are entered for a chance to win 31 days of fabulous prizes. We pull a different winner every day and a list of winners will be posted on the blog. You may enter as many times as you like, share the raffle with family, friends and co-workers. Entry forms and cash or a check (made out to MS PTA) can be dropped off at any of the school main offices. Why not take a chance! The contest includes many gift cards to area stores, Monsters tickets and other great prizes. View a copy of the calendar by clicking here. Entry form must be returned with money to your school office by April 30th in an envelope marked OFMS PTA Calendar Raffle to be eligible. Checks should be made payable to OFMS PTA. Thanks for your support! PICK-UP FOR SWIM/DIVE TEAM’S HAM SALE IS TONIGHT – THURSDAY, APRIL 17th!! 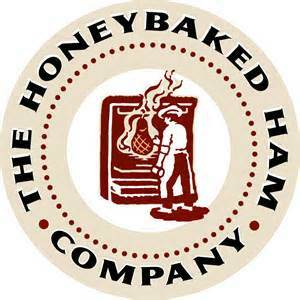 A big thank you to all who participated in the Olmsted Falls High School Swim & Dive Team’s HoneyBaked Ham fundraiser. Pick up is THURSDAY, APRIL 17th from 5-7 p.m. at the OFHS, band entrance. We thank everyone for their support to help pay for the “two a day” pool practices. The team receives 15% of all the proceeds. 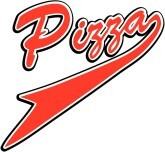 Munch on all-you-can-eat pizza and wings at the OFHS Academic Team’s April 26th fundraiser at Razzles/Rockers Café. Proceeds from the 8-10 p.m. event will help defray the cost of sending the school’s National Qualifying team to Chicago in May. Tickets are $20 and include pizza, wings, beverages, music and entertainment. There will be raffles galore with awesome gift baskets, side boards filled with cash prizes and a door prize entry into a $100 drawing. Kids 6 and under are free to this family event. For tickets, call Laraine, 440-235-3006. Annual OFHS May Art Show is Friday May 16, from 8am-8pm in the HS main gymnasium. The show is free and open to the public during those hours. Again we are looking for work from OFHS alumni, O.F. faculty & staff, and the O.F. community. We can accept flat work as well as 3-D work. 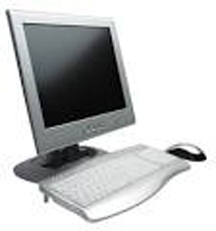 All work must be ready to be presented when it is dropped off (matted or framed). Please fill out the entry information page if you would like your work displayed in the show. Forms need to be back to Mariel Krakowiak at OFHS by Friday May 9. Please contact Mariel with any questions: mkrakowiak@ofcs.net. Looking for a fun, recreational activity this summer? Join the Westview Swim Team and come to the annual Meet-the-Coaches Cookout on Sunday, May 18th from 5-6 p.m @ the Westview pool, 26640 Redwood Drive. You can enjoy hot dogs, chips, drinks and dessert. Meet the swim team coaches and learn more about the team. Discover what the excitement is all about. After many years of discussion, the Olmsted Community Summer League will start a co-ed adult softball league. Register as a team or individually. Please contact Tracey Rinas at (440) 591-0865 with any questions or additional information regarding the co-ed adult softball league. Don’t miss the annual Olmsted Falls Garden Club Perennial Plant Sale on Sunday, May 4th from 11 a.m. to 2:00 p.m. at the Jenkins Community Center. Large selection of perennial flowers, hostas, grasses, ground cover, flowering shrubs and wildflowers. 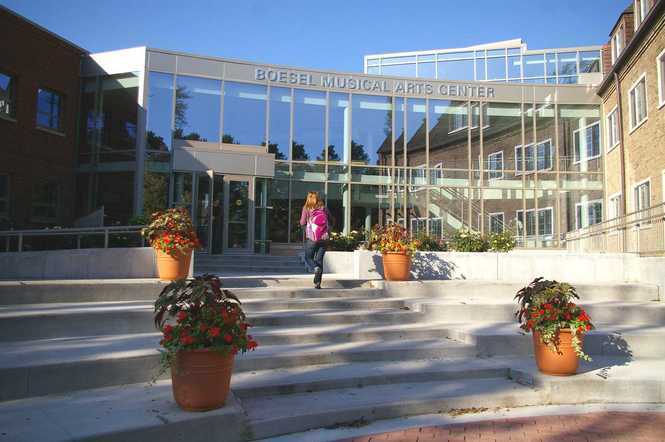 The National Association of Music Merchants Foundation announced Olmsted Falls School District is a 2014 Best Communities for Music Education honoree. This award honors districts and schools that set the bar in offering students access to comprehensive music education. NAMM evaluates schools and districts based on funding, staffing of highly qualified teachers, commitment to standards and access to music instruction. Olmsted Falls School District is one of 376 districts across the nation that received the honor this year; this is the eighth consecutive year it has received this honor. Research shows that music actually changes the brain by adding new neural connections that prime the brain for other communication. Children involved in music tend to have larger vocabulary and better reading ability than those not exposed to music education. Children with learning disabilities are especially helped by music lessons. Ultimately, music helps shape individual development. Superintendent Dr. Jim Lloyd is very pleased with the district again receiving this designation. Congratulations to staff, students and the community for supporting music education in our schools. To learn more about the NAMM Foundation, click HERE. 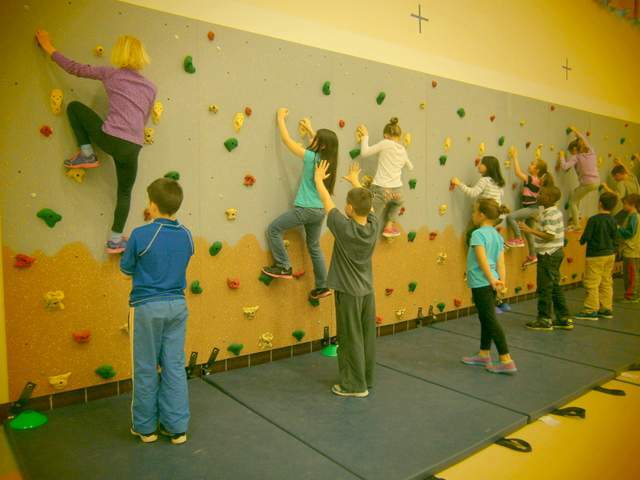 Through the implementation of our traverse wall into the physical education curriculum, F-L students have an authentic outlet through which to focus their natural disposition to climb, increase experiences for genuine success, options for improving fitness levels, and a means of promoting teamwork and leadership. But best of all, it’s fun! This traverse wall, which measures 8’ by 40’ was funded from winning the $10,000 Fuel-Up to Play 60 Grant through the NFL this year and was installed in the Falls gymnasium by members of the physical education department, custodial staff, and PTA. Finally, we would like to take this opportunity to thank our fantastic staff, students, PTA, and the Cleveland Browns organization for their support in making this dream a reality. Thank you so much! To view additional photos of the new traverse wall, please click HERE. 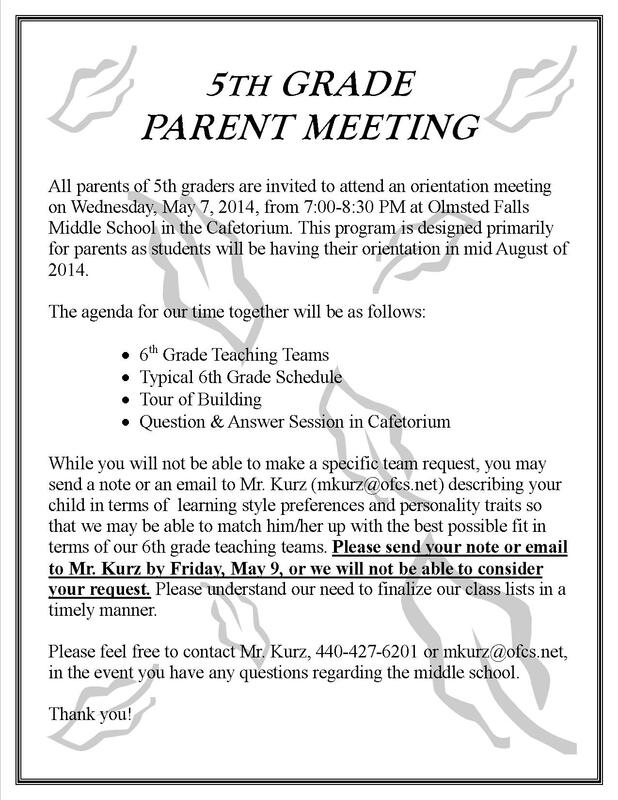 MIDDLE SCHOOL STUDENT-PARENT SPORTS INFORMATION MEETING – TONIGHT @ 7:00 P.M.! The annual athletic informational night for parents and students in grades 5 through 8 is being held TONIGHT, Thursday, April 10, at 7:00 p.m., in the OFMS Cafetorium. The purpose of this meeting is to provide student athletes and parents with some general information about our middle school and high school athletic programs and to meet the varsity coaching staff. OFHS varsity athletic coaches will be speaking. The program for the evening is available by clicking HERE. 1. 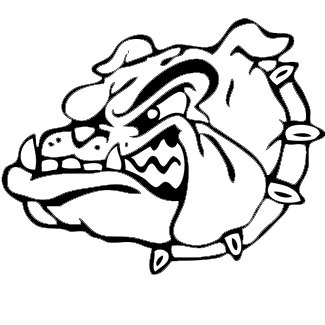 Follow OFMS on Twitter @ofmsbulldogs and you will find the informational packet on Friday morning after the meeting. 2. It will be posted on the OFMS web page on Friday morning after the meeting. 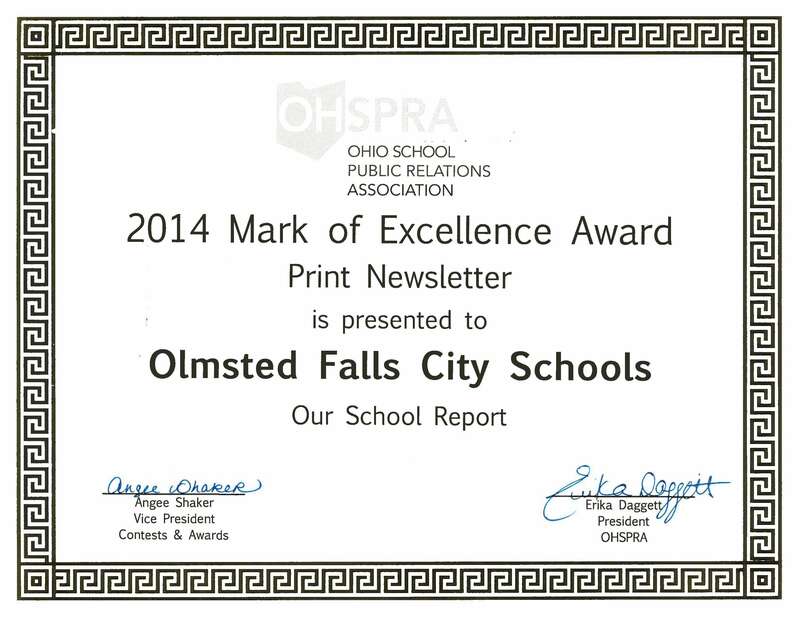 The Ohio School Public Relations Association recently recognized Olmsted Falls School District with an Achievement Award during its annual state Spring Conference. The district received a Mark of Excellence award for Our School Report, which is mailed to residents four to six times per year. Print newsletters were judged on content, design, writing, editing, graphics, photography and print quality. The competition is open to all public or private schools and districts, career and vocational centers and education-related organizations across the state. As mentioned in last week’s blog, Olmsted Falls School District is completing a strategic planning process to help guide our efforts over the course of the next 3-5 years. The steering committee continues to seek feed back from the community to help identify the highest priorities for the District’s strategic direction. An online survey is available to help gather input from parents, residents, staff members and local business owners. OFHS students will be surveyed for their feedback as well. A link to the online survey was sent directly to parents and other community stakeholders to obtain feedback on the strategic planning work that has been compiled thus far. It should take approximately 10-15 minutes to complete this brief online survey. If you are interested in completing the survey now, you are encouraged to do so by clicking HERE. Input from all segments of our community will be a critical component to finalizing the strategic planning process. Thank you in advance for your time and input. PRIDE COMMITTEE SEEKING ENDORSEMENTS – Many thanks to the dedicated volunteers working on behalf of the Pride In Olmsted Committee in support of Issue #4. The committee is currently seeking individuals, families, and local community partners to indicate their support of this bond issue for OFHS. The campaign intends to use the names of steadfast supporters to demonstrate bulldog pride and growing support of this critical ballot issue. To participate, send an email to prideinolmstedschools@gmail.com. 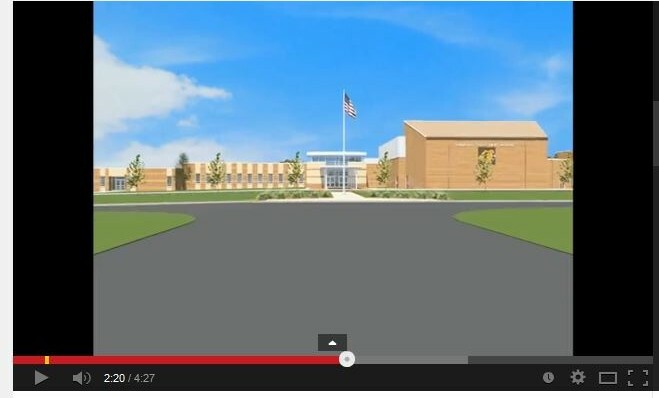 Please include your name and, if you wish, why you support the high school improvements. Additionally, the committee is seeking photos of families who would like to demonstrate their support. Please use your imagination and be creative! If you’d like to include a “YES for schools” sign in your photo, please let the committee know. You are encouraged to create your own poster as well! Submit your photos or questions to prideinolmstedschools@gmail.com. YARD SIGNS – The Pride Committee is requesting that any parents who may still have a “Yes on #86” yard sign from the fall campaign stored in their garage to please return in to be updated and recycling for the current information campaign. Signs will be updated with “Issue #4” and redistributed along main roads in the community. Signs can be dropped off next to the garage behind the Board of Education office (under the overhang, next the picnic table, please). FALLS-LENOX BOOK FAIR CONTINUES THROUGH APRIL 11TH! 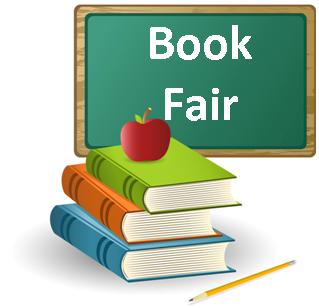 Stop by the Falls-Lenox book fair that is occurring now through Friday, April 11th. The Butter Braid pick up is set for this THURSDAY, APRIL 10TH FROM 4:00PM until 6:00PM – PICK UP WILL TAKE PLACE AT THE OLMSTED FALLS HIGH SCHOOL. Please remember the butter braids are frozen and perishable, please return them to the freezer promptly after pick up. Please contact Linda Parkowski at 440-225-8703 if you have any questions. 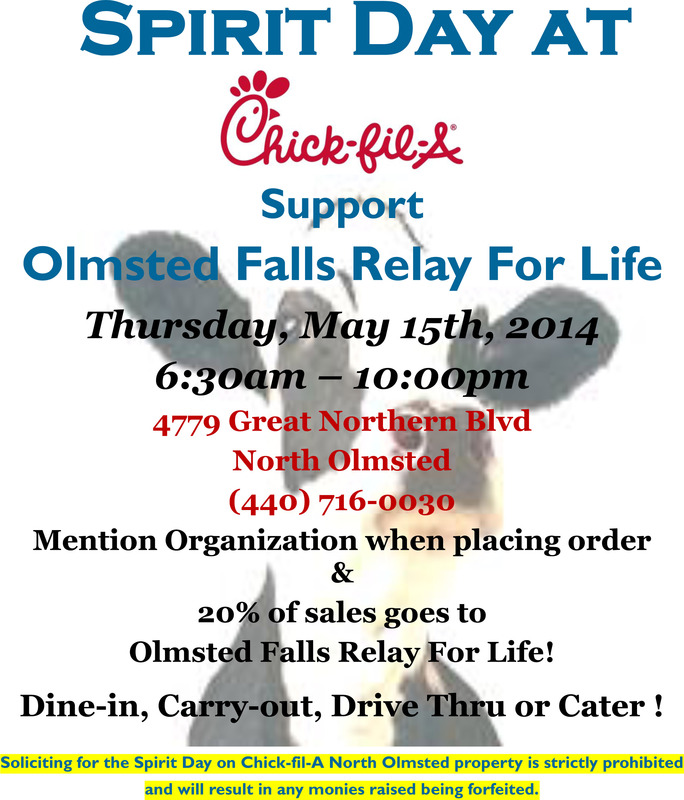 OLMSTED FALLS POST PROM WANTS YOU! Attend the April 12th Reverse Raffle Taco Night – THIS SATURDAY NIGHT. It will be from 7:30-10 p.m. at Tony K’s, 841 W. Bagley Road. It’s an all-you-can-eat taco feast – hard and soft shell – salsa, chips, toppings plus beverages. There will be a 50/50, baskets and reverse raffles and side boards. Contact Teri Petro, 440-236-6482 or email her at petrot@roadrunner.com to order tickets. Sign up for the April 25th Dodge Ball Tournament at OFHS. Teams may register in the cafeteria the week prior to the event. Check for details on the website. IGA has a Tasting Event April 25th. For more details, contact John Burnell at john@burnell.com. You also may simply volunteer the day of Post Prom. Contact Mercedes Hathcock, Mercedez0625@gmail.com. Join us for upcoming meeting dates: April 16th and May 14th at 7 p.m. in the OFHS library. The committee thanks you for your continued support. Helping Hands “Movie and Game Night” is on Friday April 25, from 6-8:30pm. The event is FREE, but RSVP IS REQUIRED by Wednesday April 23 (mkrakowiak@ofcs.net). Please include the number of adults and the number of children you will have attending. Helping Hands is a disability awareness program that helps people of all ages learn attitudes of acceptance, dignity and respect toward all people, especially those with disabilities. The Helping Hands program will help you and your child discover new friends. Movie and Game Night is set up to be “sensory friendly” experience. The sound is controlled and the lights will be dim (not off). We are playing Pixar short films so students can feel comfortable changing scenery from auditorium to cafeteria as needed. Everyone is welcome! Annual OFHS May Art Show will be held on Friday May 16, from 8am-8pm in the HS main gymnasium. The show is free and open to the public during those hours. Again we are looking for work from OFHS alumni, O.F. faculty & staff, and the O.F. community. We can accept flat work as well as 3-D work. All work must be ready to be presented when it is dropped off (matted or framed). Please fill out the entry information page if you would like your work displayed in the show. Forms need to be back to Mariel Krakowiak at OFHS by Friday May 9. Please contact Mariel with any questions: mkrakowiak@ofcs.net. The Falls-Lenox Annual Carnival for a Cure event is scheduled for Friday, April 11th from 6-9 p.m. Admission is a donation of $5 per student. (Donations also accepted for adults.) We will have games, prizes, and tons of fun! We will even have a Principal’s Challenge! Food will be available for $3. You have your choice of a hot dog or pizza, chips and a drink. We hope to see a record number of families out to support the Falls-Lenox for Life Team as we raise money for the America Cancer Society’s Relay for Life. This year’s Carnival for a Cure features carnival games, the Cake Walk, face painting, a money cube, and more! Special thanks to Kiwanis and PTA for their support each year. Mark your calendars for the Kiwanis Pancake Breakfast on Sunday, April 13th from 8:00 a.m. to 12:30 p.m. at Olmsted Falls High School Cafeteria. 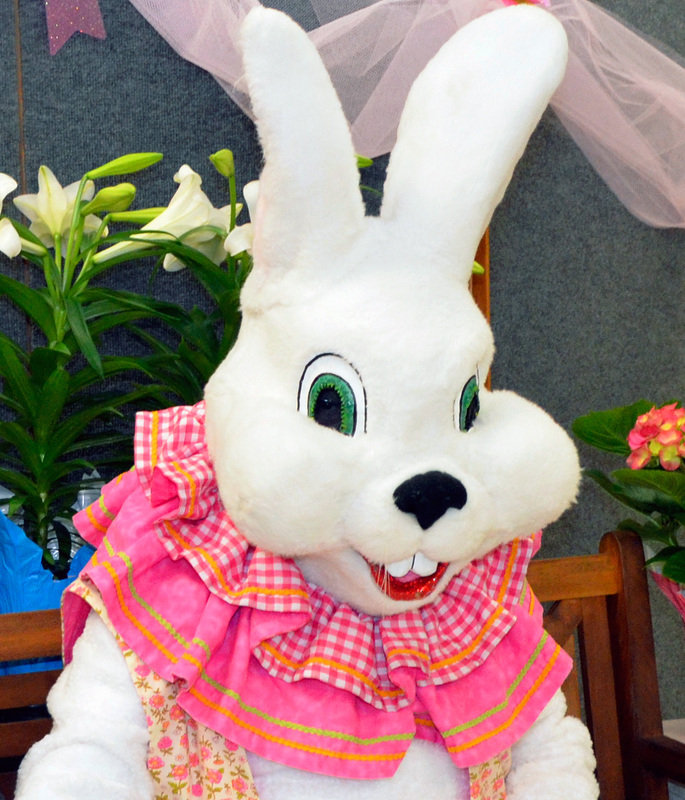 Pictures with the Easter Bunny; Chinese Raffle; plus chance to win Kindle Fire!! See you there! As you may already be aware, Olmsted Falls School District is currently completing a strategic planning process to help guide our efforts over the course of the next 3-5 years. (Please see February 12, 2014 blog post for previous, extended story.) The steering committee, representing a wide cross-section of District stakeholders, is now seeking feedback from the community to help identify the highest priorities for the District’s strategic direction. To that end, an online survey has been created to help gather input from parents, residents, staff members and local business owners. OFHS students will be surveyed for their feedback as well. A link to the online survey will be sent directly to parents and other community stakeholders in the coming week to obtain feedback on the strategic planning work that has been compiled thus far. It should take approximately 10-15 minutes to complete this brief online survey. 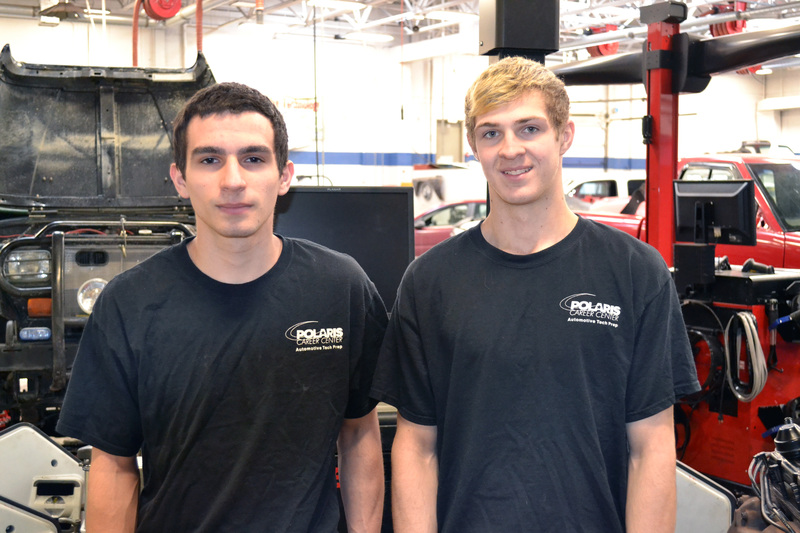 OFHS and Polaris Automotive Technology senior Dean Houlis, shown left in the photo, and team partner Mike Coleman of North Olmsted High School, placed second in the recent 22nd Annual Greater Cleveland Automotive Technology Competition at the 2014 Cleveland Auto Show. Grades played a big part in the OFHS boys basketball achievements this year. The team finished 23rd in Ohio for top team GPAs with 3.548 Grade Point Average. Senior Adam Asadorian was named Academic All Ohio. It is the second consecutive year that the team had a player named Academic All Ohio. Adam also broke the state record for Single Season 3-point percentage with a 54.2 percentage. He also now ranks third in Ohio for career 3 Point Percentage at 44.6 percent. 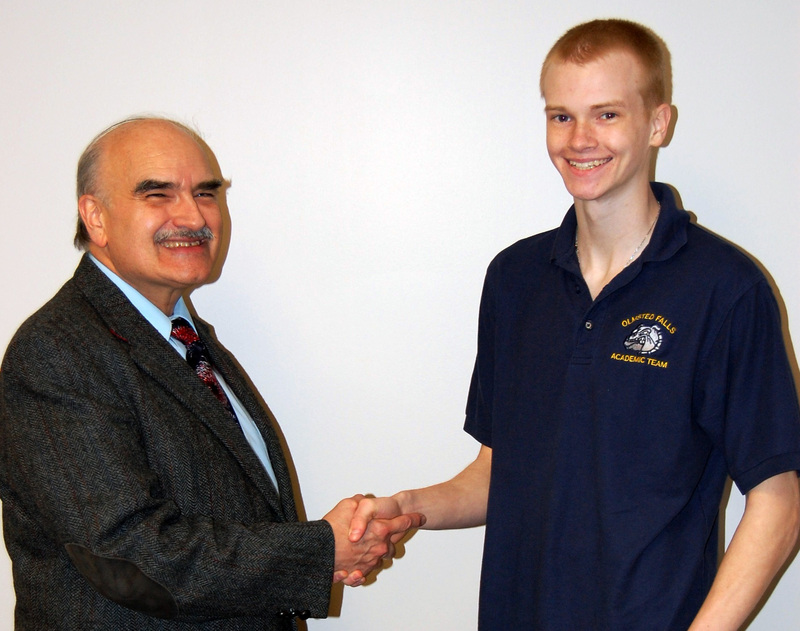 To read a Chronicle Telegram story on his accomplishments, click HERE. Last month the OFHS Spanish Department inducted 19 talented students into the Juan Rulfo Chapter of La Sociedad Honoraria Hispánica. The ceremony was at Nuevo Acapulco, a North Olmsted restaurant. The new members include Meredith Ashton, Allie Baldwin, Ashley Belohlavek, Alexis Benisek, Olivia Collins, Autumn Cooper, Meg Coury, Mikaela Eisenloeffel, Brooke Eisenmann, Meredith Ashton, Mareena Gentry, Molly Grimes, Brianna Laszlo, Deborah Makari, Amanda Mitchell, Victoria Pishkula, Brandon Pusateri, Evan Rawbon and Diana Vargas. La Sociedad Honoraria Hispánica is an honor society for high school students enrolled in Spanish and/or Portuguese. The American Association of Teachers of Spanish and Portuguese sponsors the society. There are more than 2,000 national and International chapters. The purpose of the society is to recognize high achievement of high school students in the Spanish language and to promote a continuing interest in Hispanic studies. 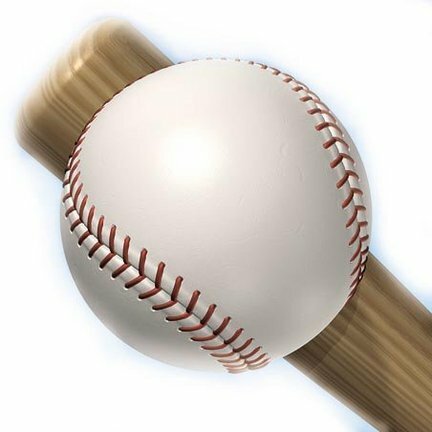 BULLDOG BASEBALL AT CRUSHERS STADIUM IN AVON – THIS WEEKEND! The OFHS Baseball Program (all levels) will be playing baseball at All-Pro Freight Stadium in Avon (Crushers Stadium) this weekend. Come out and support the Bulldogs!! 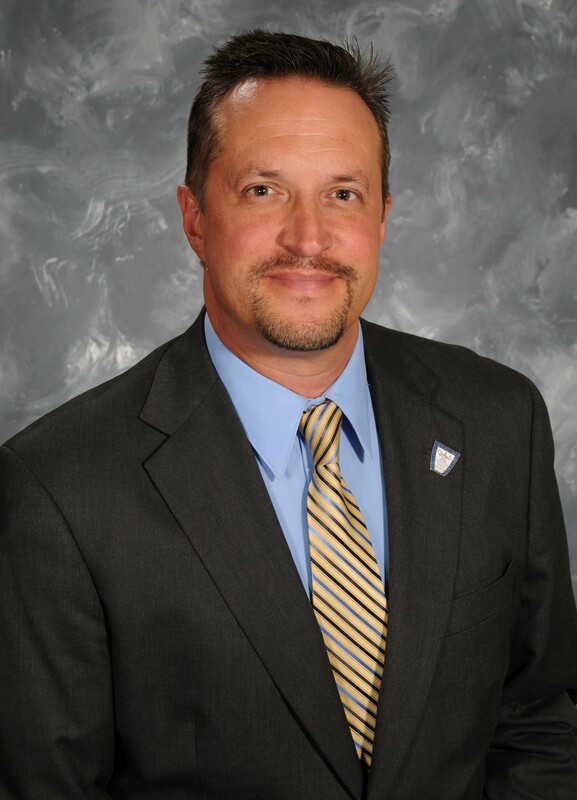 Superintendent Dr. Jim Lloyd posted a new message on the District website this week. Also, don’t forget to follow Dr. Lloyd on Twitter @OFCSSuper. All students in grades 4 and 5 are eligible to participate in the Science Olympiad Team – and more than 110 already have joined this year’s team. Nine practice sessions will occur through the end of April, with competition days taking place the last week of April. OFMS students, OFIS staff and NASA volunteers are this year’s coaches! The three favorite events from last year’s Olympiad return – Egg Drop, Catapult and Aerodynamics! 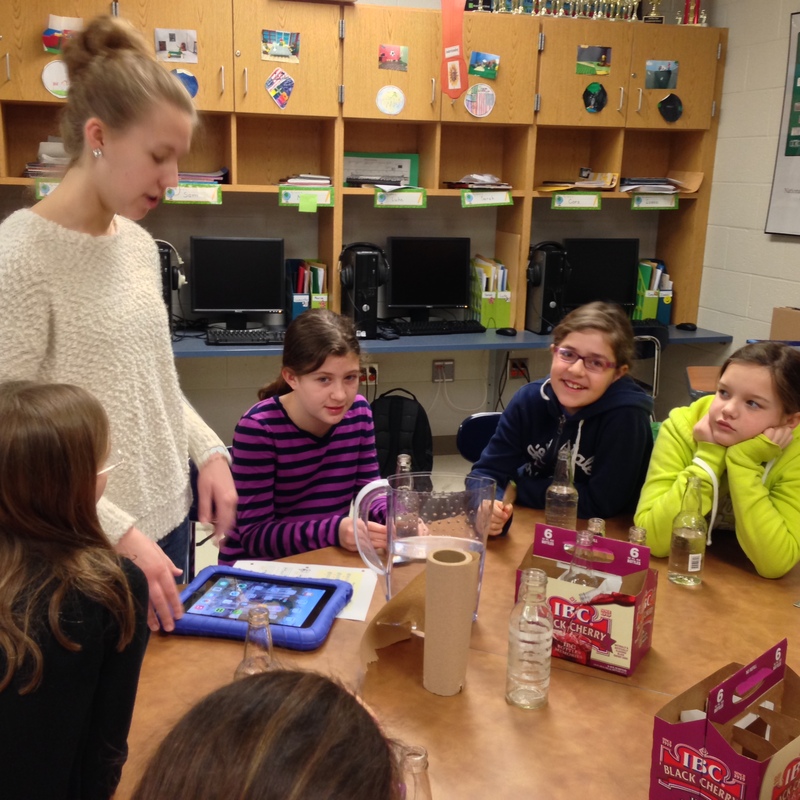 Six new events were added to align with the Ohio Model Curriculum for Science, with an emphasis on hands-on experience. Those events include Circuit Wizardry; Music Makers; Landform Jeopardy; Sinking Ships; Reflection Relay and Derby Downs with K’Nex cars. To see a photo gallery, click HERE. 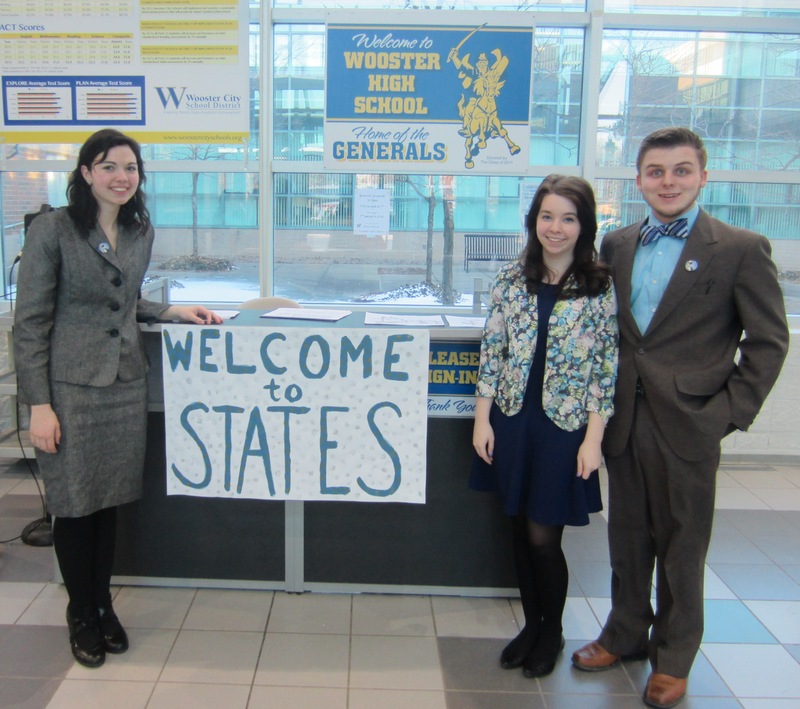 The OFHS Forensics Team competed at the Speech and Debate tournament last month. Senior Joe Gibson placed third in the state with his Curious George humor piece. Junior Kat Karolak advanced to the semifinals in original oratory, placing her in the top 12 competitors in the state. Junior Julia McFadden qualified for the tournament for the first time this year. Overall, the competition was very exciting for the students. 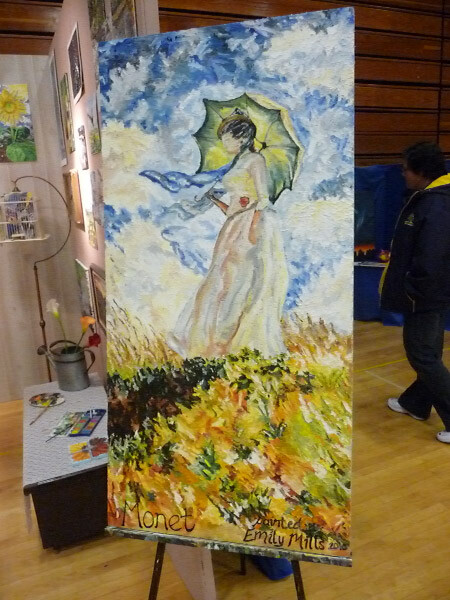 To view additional photos from the competition, please click HERE. OFHS NEEDS YOU! IMPORTANT MAY 6TH ELECTION NEWS – VOTER REGISTRATION DEADLINE THIS MONDAY! DEADLINE TO REGISTER TO VOTE – The deadline to register to vote on the Bond Issue for OFHS in the upcoming May 6, 2014 election is THIS MONDAY, APRIL 7TH. Voter registration forms can be downloaded by clicking HERE. Completed forms MUST be received by Cuyahoga County Board of Elections by end of business THIS MONDAY, APRIL 7th. Completed forms can be dropped off at the local library or any school office on Monday. MAKE SURE YOUR VOTE COUNTS – Vote by Mail! Request your Vote By Mail absentee ballot by clicking HERE. Those people who request absentee ballots to vote by mail should begin receiving ballots this coming week. Please be sure to complete and return your absentee ballot as soon as you receive it. EVERY VOTE COUNTS! FALLS-LENOX BOOK FAIR IS THIS COMING WEEK – APRIL 7TH-11TH! Mark your calendars for the annual Falls-Lenox book fair being held April 7th – 11th. Wednesday, April 9th will be the FAMILY NIGHT event including an ICE CREAM SOCIAL! Stop by and purchase a bowl of ice cream before you shop!! 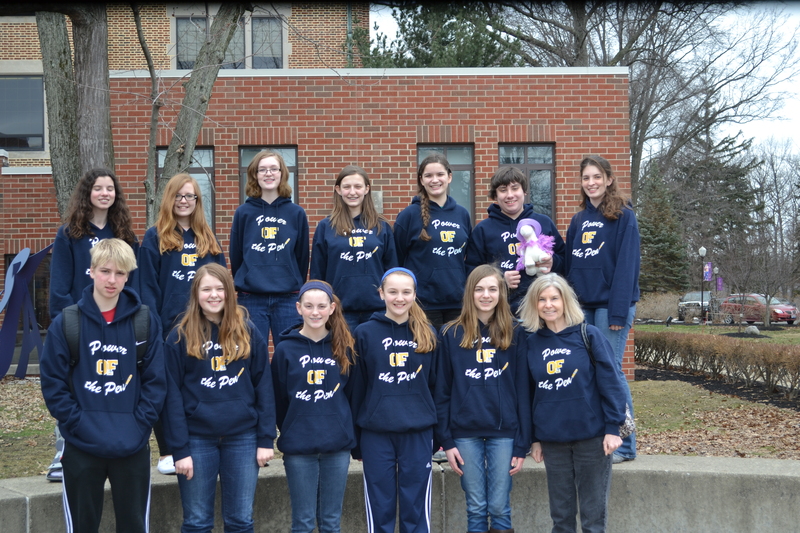 Several OFMS students competed with others from 65 schools in the Regional Power of the Pen competition at St. Joseph Academy last month. Lizzi Vukovic, grade 8, placed third and received the Best of the Best award. 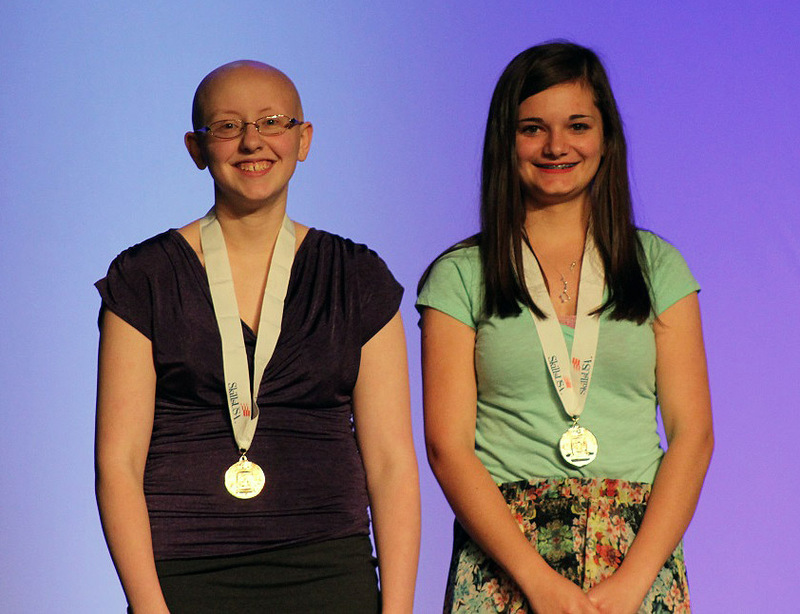 Kayla Falcone, grade 8, placed 14th, Lauren Gumeny, grade 7, 15th and Emma Andrus, grade 7, received the Donald Baker Award. Other students who competed include eighth graders Abby Gaba, Alex Enczur and Maggie Harris and seventh graders Jamie Bridle, Dylan Reines and Ally Rice. Congratulations to all these students. To view a gallery of photos from the competition, please click HERE. The children at our district’s Early Childhood Center were “Buggy about Books” during this year’s Right to Read Week. 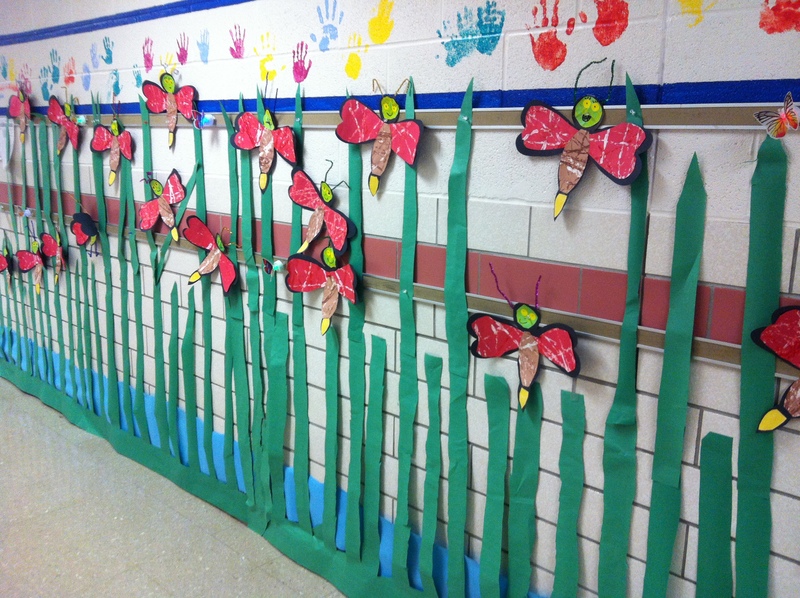 Each hallway had a designated bug from one of Eric Carle’s books – firefly, caterpillar, cricket and lady bug. Teachers, paras, students and parent helpers worked together to decorate the hallways accordingly, with Dr. Lloyd and Mrs. Cogan judging them and awarding ribbons to the buggiest, flashiest, hungriest, most colorful, quietest, starriest hallways and those with the most legs and best read caterpillar. IIllustrator Steve Harpster made virtual visits to each classroom via the Smart Boards, with students drawing animals and other creatures with him. Students also welcomed two librarians with the Cuyahoga County Public Library system and ate special snacks that Teresa Haun created. The students made buggy hats, read each other’s shirts and joined other classes with partner reading. Mrs. B, the queen bee, surprised each class with new books for their classroom libraries. To view a colorful photo gallery, click HERE. 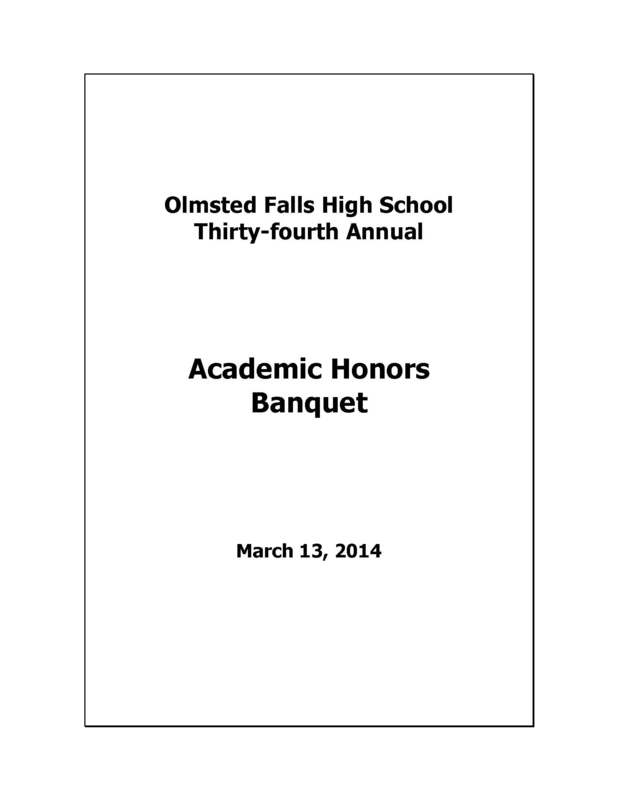 Hundreds were in attendance at the 34th Annual OFHS Academic Honors Banquet held last month at Baldwin Wallace College as more than 180 OFHS students were honored for their academic achievements. Students were joined by their families and other special guests for this special dinner and awards ceremony. The selection criteria for this year’s honored students marked the beginning of a transition from a GPA-only based criteria to a selection model that will honor students ranking within the top 10% of students in their class (based on GPA). This change in selection criteria was being phased in this year beginning with this year’s freshmen class only. For current sophomores, juniors and seniors, the selection criteria remained the same as in past years as follows: sophomores maintaining a 3.9 GPA or higher; juniors maintaining a 3.8 GPA or higher; and seniors maintaining a 3.7 GPA or higher. To view the event program, including the list of students honored, please click HERE. (Note: the number of asterisks (*) following a student’s name indicated how many years they’ve been invited to attend the event.) To learn more about how you can get involved in helping OFHS Academic Boosters, please contact Mrs. Rhonna Smith at rsmith@ofcs.net. The OFMS Media Center personnel thanks the school’s amazing student, parents and staff for supporting its Scholastic Spring Book Fair. With some of the profits, the Media Center was able to buy $1,200 new books so far. The balance will go towards Scholastic Dollars to order more books in the future. 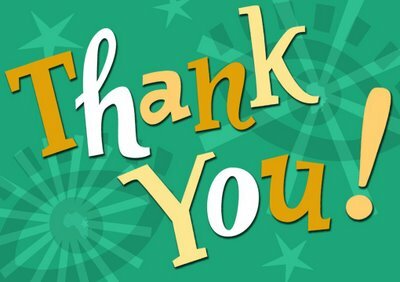 A big thank you to PTA volunteers who gave up their valuable time to help with the fair. The volunteers include Joanna Bermard, Donna McKee, Ellen Dregalla, Kathleen Burkart, Cindy Purdy, Susie Asadorian and Rachel O’Malley. Again, thank you! OFHS POST PROM WANTS YOU! Attend the April 12th Reverse Raffle Taco Night. It will be from 7:30-10 p.m. at Tony K’s, 841 W. Bagley Road. See the notice above for more details. Join us for upcoming meeting dates: April 9th, April 16th and May 14th at 7 p.m. in the OFHS library. The committee thanks you for your continued support. 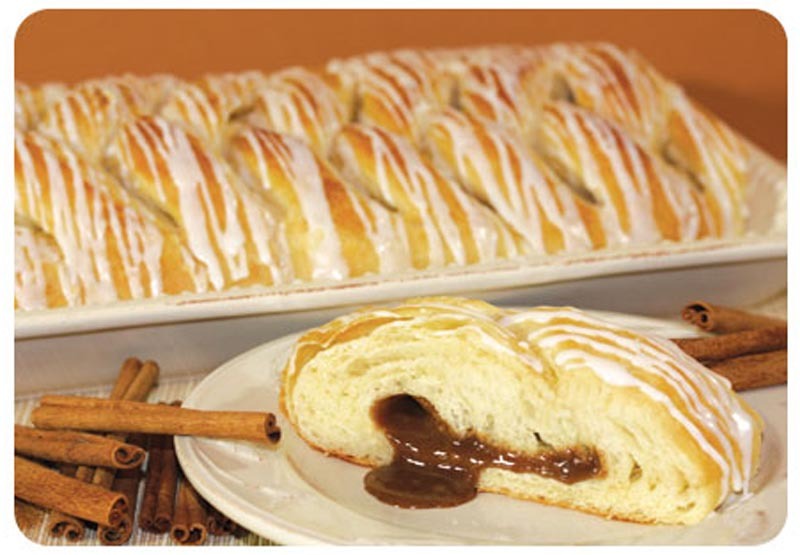 A big thank you to all of you who participated in the Olmsted Falls PTA Council Butter Braid Fundraiser. A reminder – Butter Braid pick up is scheduled for THURSDAY, APRIL 10TH FROM 4:00PM until 6:00PM – PICK UP WILL TAKE PLACE AT THE OLMSTED FALLS HIGH SCHOOL. You’re invited to the OFHS Post Prom’s Reverse Raffle Taco Night from 7:30-10 p.m. Saturday, April 12th at Tony K’s, 841 W. Bagley Road. It’s an all-you-can-eat taco feast – hard and soft shell – salsa, chips, toppings plus beverages. There will be a 50/50, basket and reverse raffles and side boards. Contact Teri Petro, 440-236-6482 or email her at petrot@roadrunner.com to order tickets. Munch on all-you-can-eat pizza and wings at the OFHS Academic Team’s April 26th fundraiser at Razzles/Rockers Café. Proceeds from the 7-9 p.m. event will help defray the cost of sending the school’s National Qualifying team to Chicago in May. Tickets are $20 and include pizza, wings, beverages, music and entertainment. There will be raffles galore with awesome gift baskets, side boards filled with cash prizes and a door prize entry into a $100 drawing. Kids 6 and under are free to this family event. For tickets, call Laraine, 440-235-3006. COLUMBIA ROAD RAILROAD CROSSING TO BE CLOSED APRIL 8TH. Norfolk Southern Railway must close the Columbia Road crossing on April 8th, with a rain date of April 9th. Signage is posted to alert motorists of the closure and the detour route for traffic and trucks.